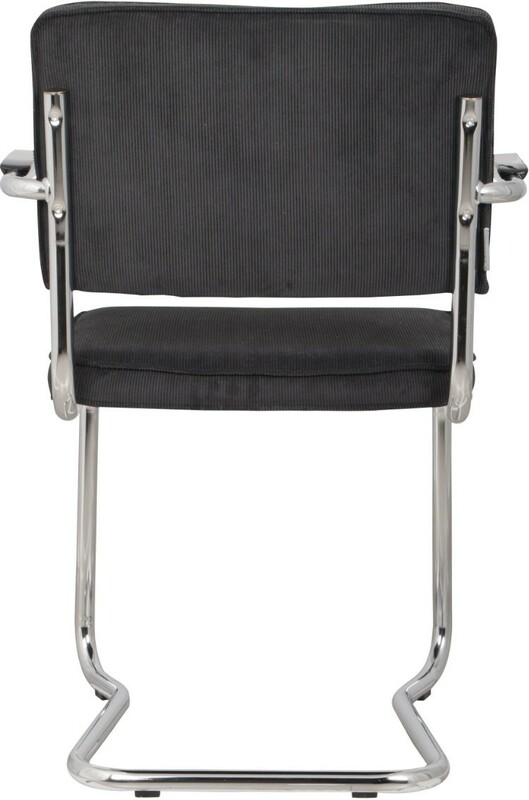 Feel free to build your own chair with our Ridge series. There are so many options, it is basically a custom built chair. 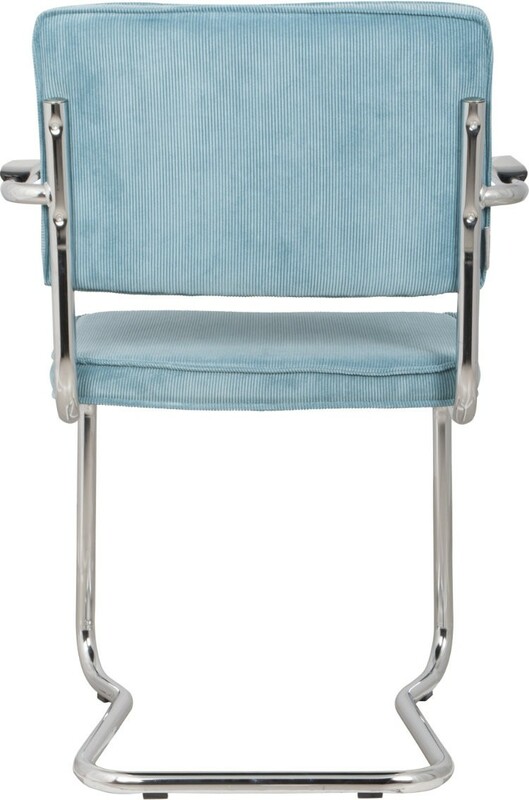 Choose your fabric, your colour, armrests or not? 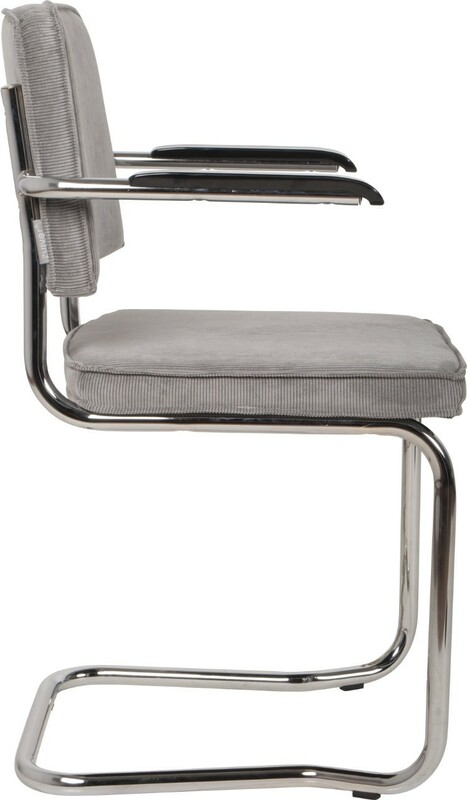 High (the barstool), or low? 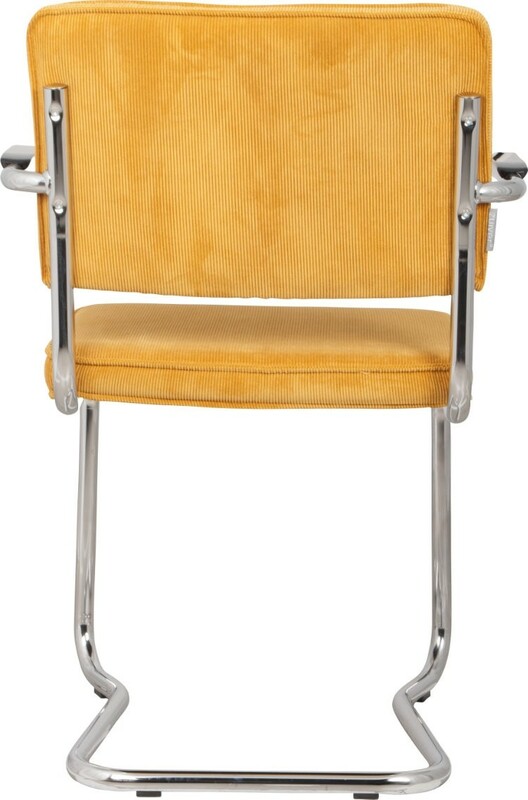 Choices, choices. 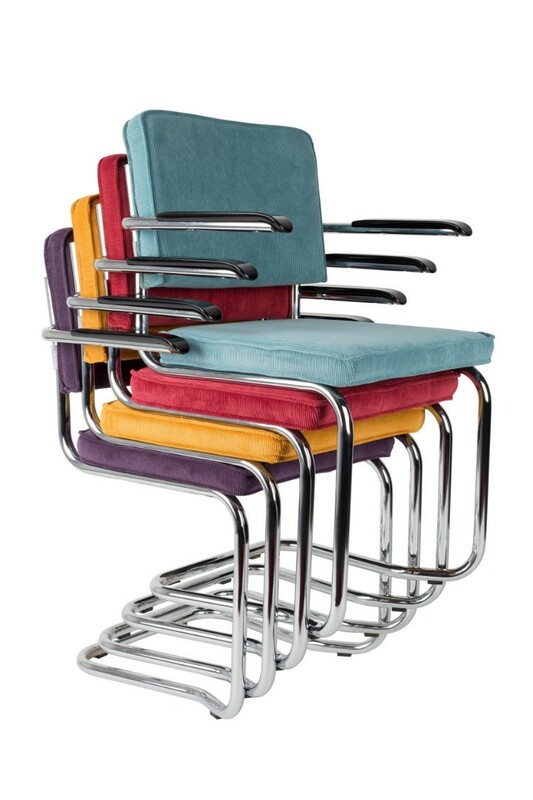 But what a wonderful series of chairs. 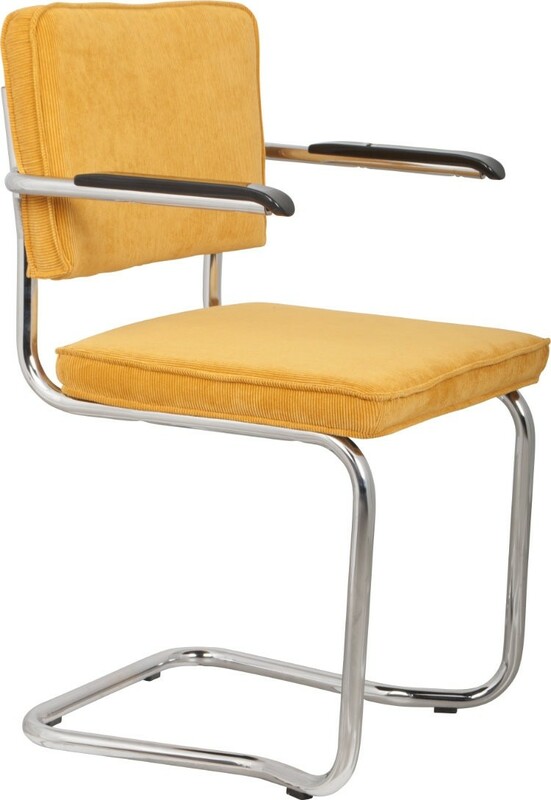 Ridge Kink Rib armchair has a classic nostalgic feel to it, yet, its colours and fabrics are always hip and modern. The very comfortable Ridge Kink Rib armchair comes in a spectacular amount of colours. 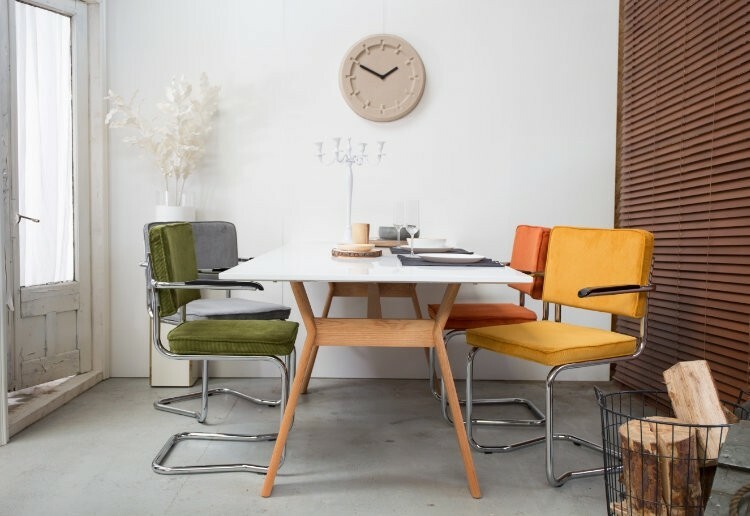 If you prefer an even more nostalgic feel, then choose Ridge Vintage, with its 100% cotton fabric in five ancient colours for a real vintage experience. 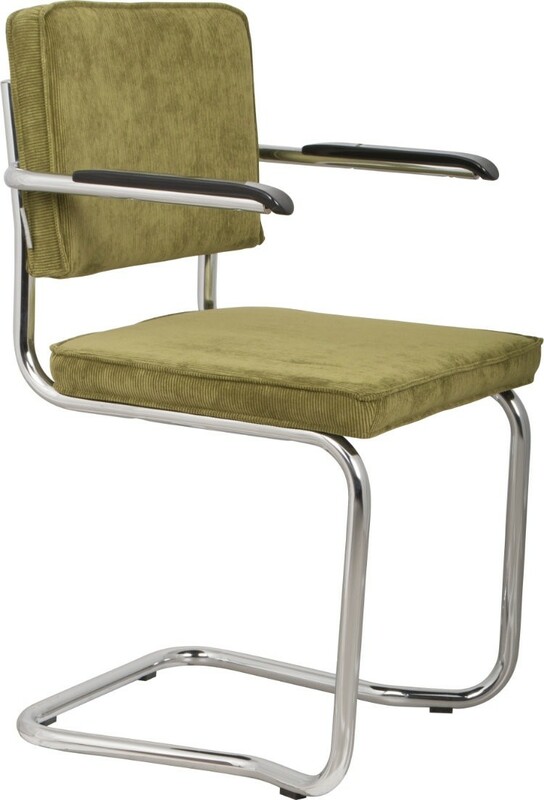 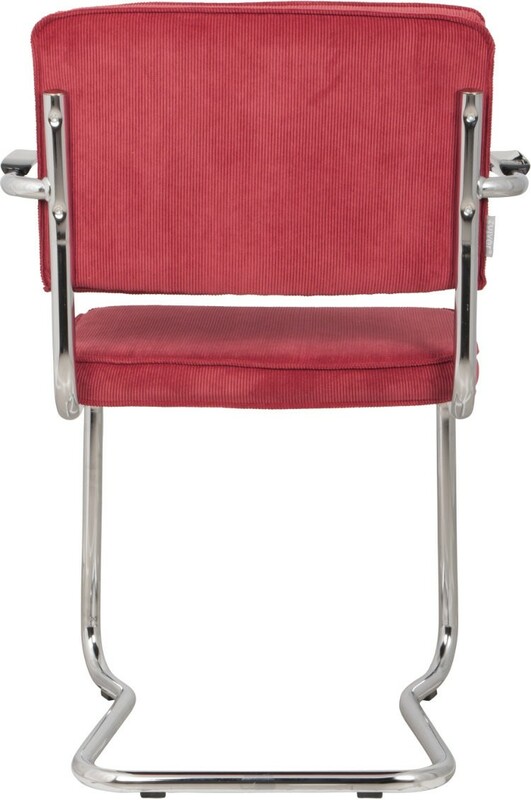 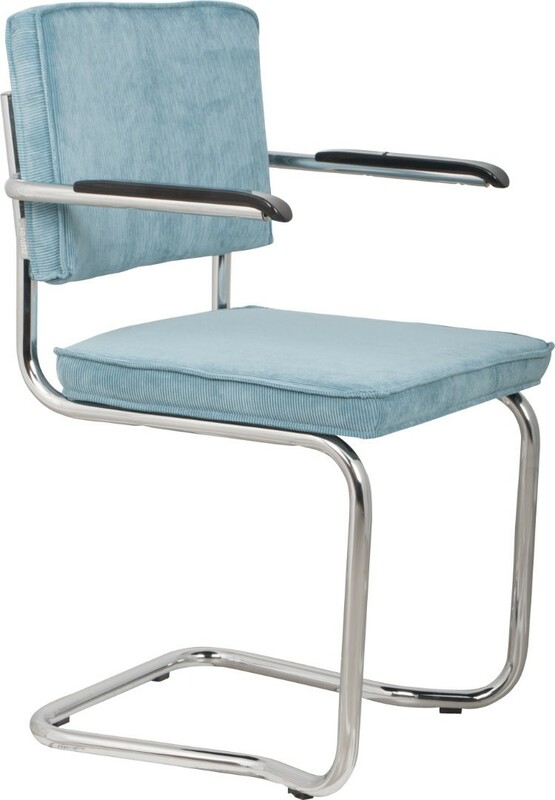 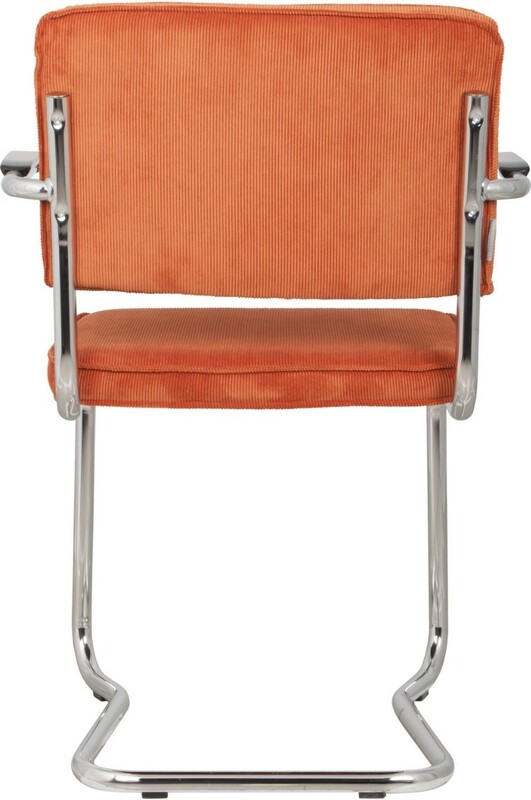 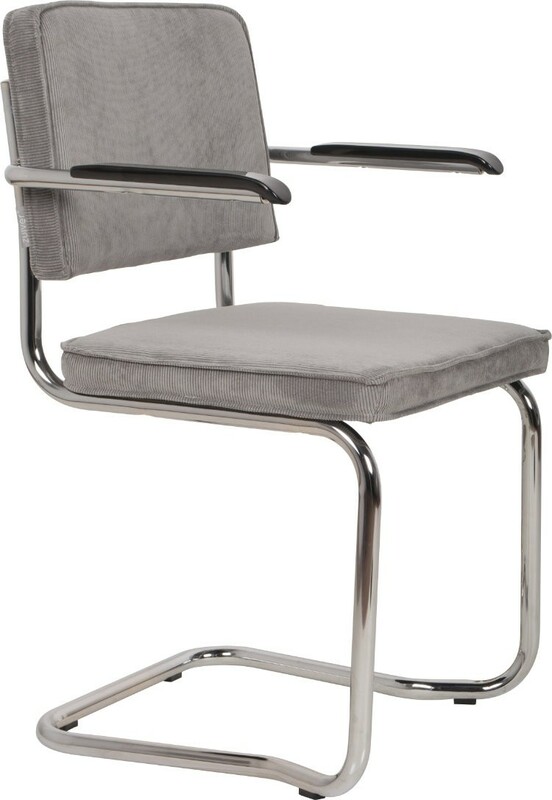 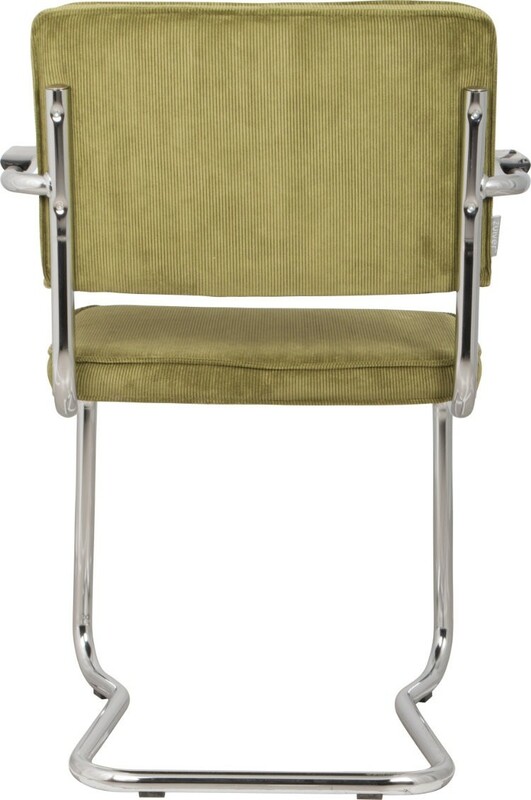 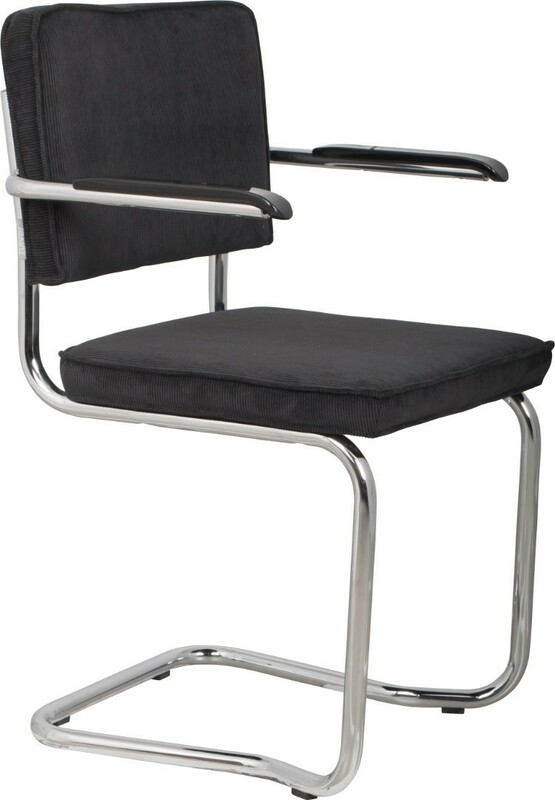 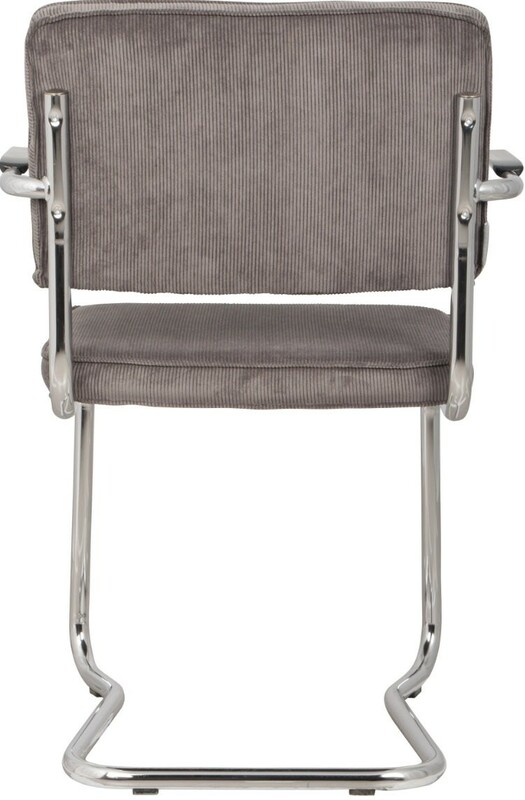 The Ridge Kink is available as chair, armchair and barstool with a chromed frame. The chair and armchair are ideal as dining or office chair and basically compatible with every interior style.